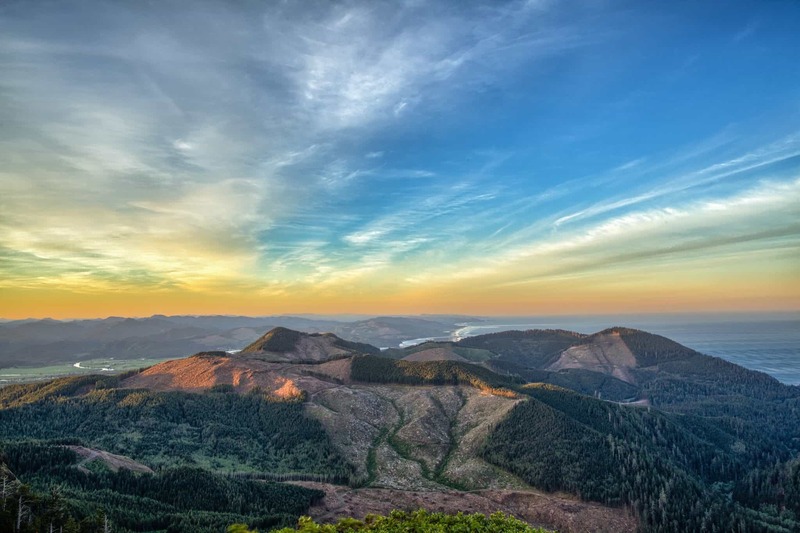 Oregon based video production and photography company Morrisey Productions recently embarked on a backpacking trip to Angora Peak Summit in the Coast Range Mountains of Oregon. Our mission was to use our DJI Phantom Drone to capture mountain top footage for the Oregon Adventure Video we are producing that will be released in late summer. When we film drone videos we also like to take some landscape photography during the sunrise and sunsets. The first image was captured on the highest rock we could climb on without climbing gear. Angora Peak is actually multiple peaks that span across a long mountain ridge. To the left of the photo you can see “Angora Pinnacle” which is about 1/2 mile east of the main summit. The rock i’m standing on in the photo is not the actual summit, but was one of the best viewpoints. The true summit of Angora is covered in tree’s which block the view for the most part. There is also another peak you can see behind me in the picture called “Revenge of Angora” which looked nearly impossible to climb without climbing gear but after reading online I found out there is a route along the west side of the rock. The next time we climb Angora we are going to attempt to get to the top of “Revenge of Angora” for a photo. After many trips to various peaks in the Coast Mountain Range we have built up a large collection of Oregon landscape photos and are now ready to start selling prints. Soon we will have a shopping cart on our website where you can buy our prints online and have them shipped directly to you. If your interested in our video production, aerial videography, or landscape photography services contact us at our website.